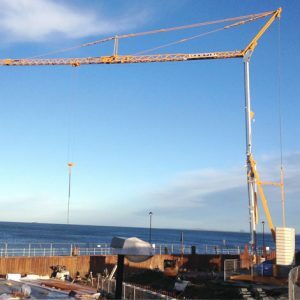 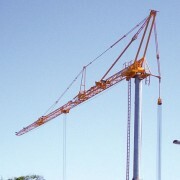 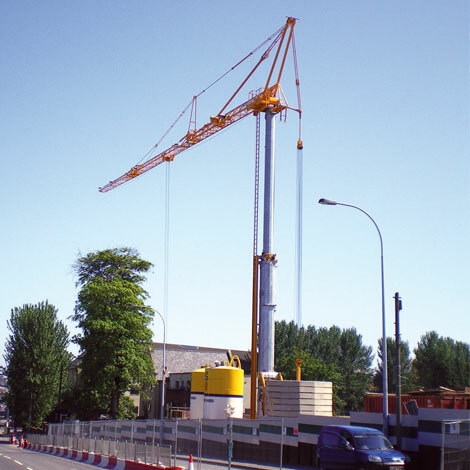 The HDT80 is the largest self erecting tower crane available for hire in the Mantis fleet. 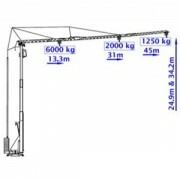 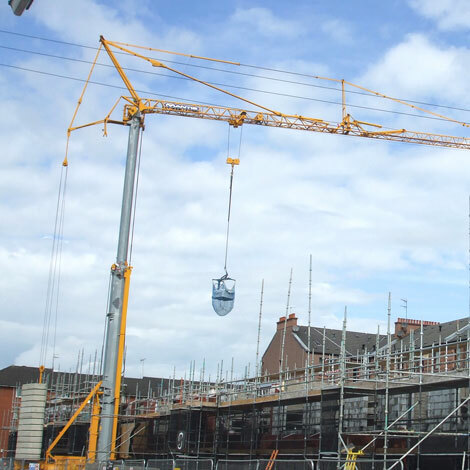 The HDT 80 offers the biggest lifting capacity available in the UK for a Self Erecting Tower Crane, with a lift capacity of 1,250 Kg at 45m this Self Erector is proved to be a popular crane hire. • Self Erecting Tower Cranes (SETCs) are all operated by radio remote control, allowing the Crane Operator the flexibility to move with his load and deliver it exactly to where it is required. 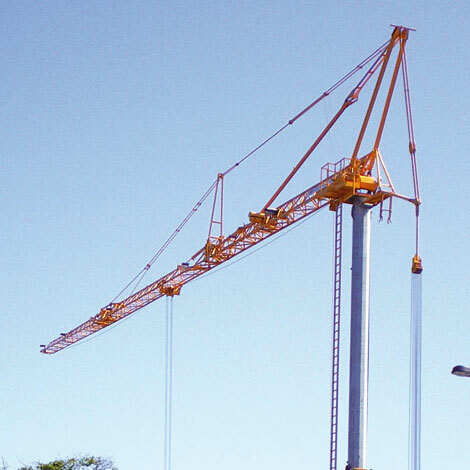 • SETC will improve productivity by delivering the material exactly to point of use thus reducing additional labour costs. 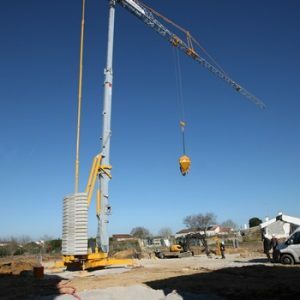 • SETC occupies a small footprint and could service your site from the one location, giving you more storage space for materials. 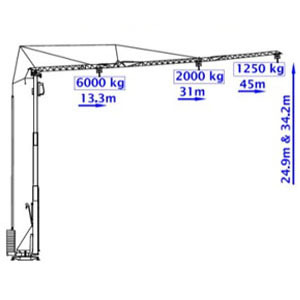 • SETC can reduce the requirement for vehicle movements on site and also reduce the amount of material handling on site, thus increasing site safety whilst saving you money. 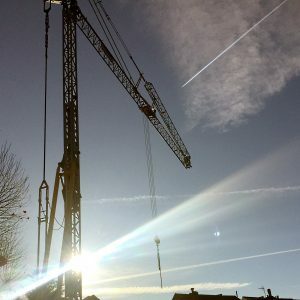 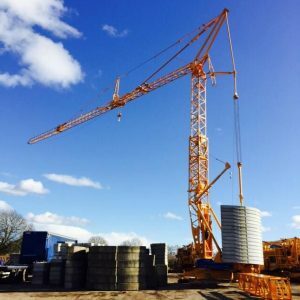 • Mantis Cranes Ltd specialise in Pedestrian Operated Tower Cranes and has the largest fleet of Self Erecting Tower Cranes in the United Kingdom.